Stop stressing and take back control of your life. 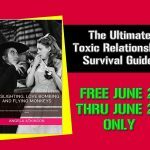 I wrote a new book for you – it’s called Gaslighting, Love Bombing and Flying Monkeys: The Ultimate Toxic Relationship Survival Guide for Victims and Survivors of Narcissistic Abuse, and it can change your life. Even better, it’ll cost you less than $5. Or, if you’re an Amazon Prime member or Kindle Unlimited member, you’ll get it for free. Narcissists and people with narcissistic personality disorder (NPD) make you feel worthless and numb, and they leave you wondering if you’re even a real person sometimes. Being involved with a narcissist can be a crazy roller-coaster ride of emotions – from the highest of the highs to the lowest of the lows. That’s because their gaslighting and manipulation tactics are so well-honed and laser-targeted that you often don’t even realize that you’ve become codependent and enmeshed in a toxic relationship until it’s too late. You’re NOT ALONE. I know because I’ve been there. 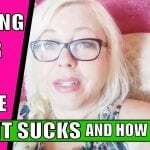 The pain of being in a narcissistic relationship is something that you don’t get unless you’ve been there, and that’s where I’m uniquely qualified to help you. 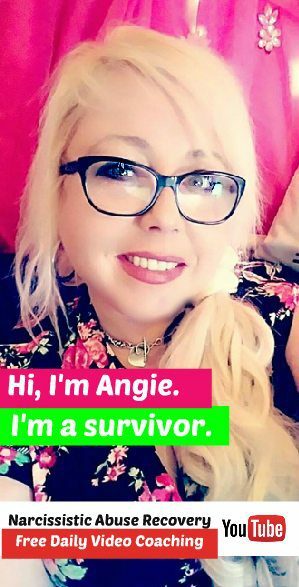 See, I’m also a survivor of narcissistic relationships – that’s what led me to you today. That’s what offers me the unique ability to understand, and to offer insight and actionable steps to overcome the horrific emotional abuse and toxic mind games of a narcissist. It’s what helps me relate to to my clients and readers so effectively. You are more powerful than you think. Let me teach you how to stand up for yourself. Knowledge is power. Admitting the issue is the first step. Next, you’ll learn to understand, identify and overcome the behaviors of the narcissist. That’s when you’ll – and begin to heal – whether that means inside the relationship or by ending it. So no more putting band-aids on this problem, alright? Stick with me and we will get this figured out together. Here’s a preview of what you’ll learn about in this incredibly powerful ebook. 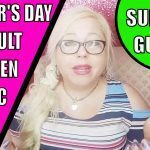 Self-Discovery: Are You a Narcissistic Supply? How do you know if you are experiencing anxiety? What are you waiting for? Aren’t you tired of being tired? Ready to end the drama, game playing and mental torture? Take back your life! Get this book today, power up and start living the life you deserve. You won’t regret it. The little-known reasons why you need to leave the narcissist ASAP!